Zac graduated from the University of Warwick in 2016 with a first class BSc degree in Chemistry, during which he carried out a URSS project under Giovanni Costantini, developing high vacuum equipment to enable the soft landing of thermally labile molecules in STM. He then focussed his studies into polymer science by undertaking a taught MSc in Polymer Chemistry, again at the University of Warwick. His research project, with the O’Reilly Group, focussed upon the crystallization-driven self-assembly of poly(ε-caprolactone) containing block copolymers and the dynamics of such assemblies. 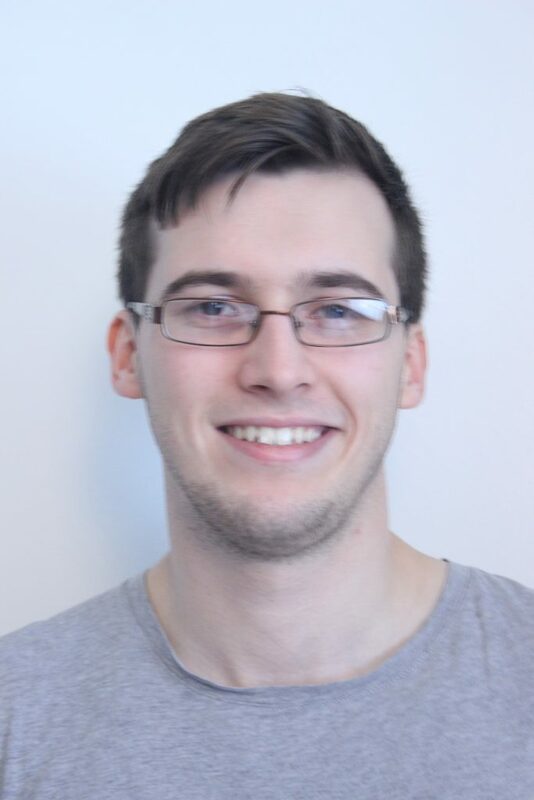 Zac is currently undertaking a PhD under Professor Andrew Dove, investigating potential applications of nanoparticles derived from crystallization-driven self-assembly in hydrogel materials. Precision Epitaxy for Aqueous 1D and 2D Poly(ε-caprolactone) Assemblies. M. C. Arno, M. Inam, Z. Coe, G. Cambridge, L. J. Macdougall, R. Keogh, A. P. Dove and R. K. O’Reilly, J. Am. Chem. Soc. 2017, 139, 16980–16985.